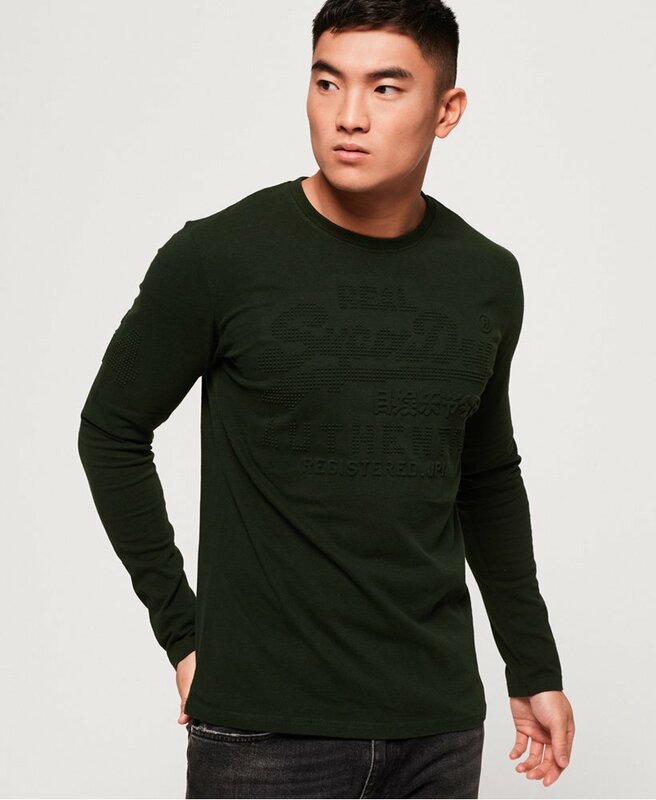 Superdry men’s Vintage Authentic emboss long sleeve t-shirt. This crew neck t-shirt is a great layering option to have in your wardrobe this season. This tee features a Superdry logo in an embossed design across the chest and a number logo on the sleeve. This simple tee has been crafted using the highest quality fabrics, making it a super soft and easy to wear item. This pairs well with jeans or joggers for a stylish off-duty look, or if you want to be more formal, team this tee with chinos and boots.